A half-completed development, halted during the economic downturn, is being given new life by the Howard Hughes Corporation. 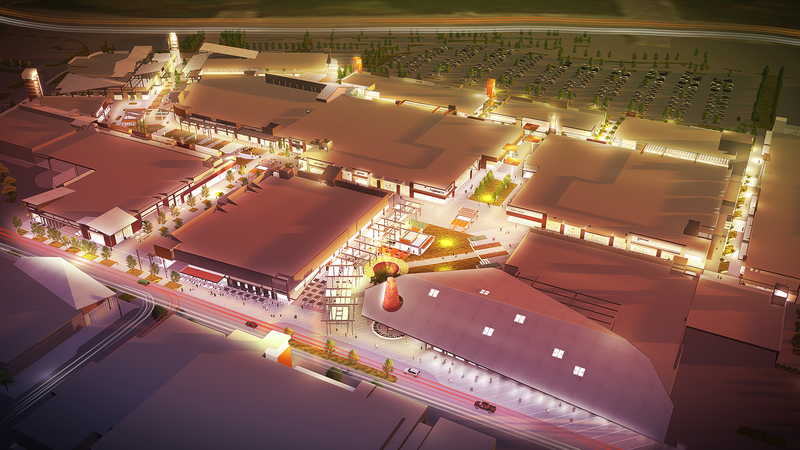 Beck’s design team is transforming the 100-acre development into a regional outlet center. Existing buildings will be reconfigured, creating an open-air, walkable center with multiple open green spaces, outdoor dining and a children’s play area. With over 100 shops and restaurants, and a 14-screen movie theatre, the Outlet Collection at Elk Grove will provide much needed retail services to an underserved market.